Now I’m the first person to admit that I’m a little out of touch with the 7th edition release. One minute there was no new box set and a rulebook with Dark Angels on the sleeve and now a new boxset with Space Wolves and Orks, putting lie to the persistent rumour that the box set would contain Blood Angels. Well done Games Workshop, you’ve finally managed to hoodwink us. So here’s this new boxset with an add on campaign book which effectively catapults the start up costs from a fairly steep £75 to a stomach churning £105. Just a frame of reference – the second edition boxset from 21 years ago cost £40 with roughly the same amount of plastic. That’s an 87% increase in price. Granted it’s at least an 87% increase in quality of models but that’s still very rich tea. Looking at the boxset whilst it may not wow many compared to the previous two boxsets, it’s actually not bad in terms of relative value. Grumbling above aside. By my sums there’s roughly £134.50 worth of toys in there, plus the slim rulebook. Which makes it fairly good value verses its price tag – if we ignore the over inflated prices in the first place. Oh and it’s just about legal on both sides for a change. 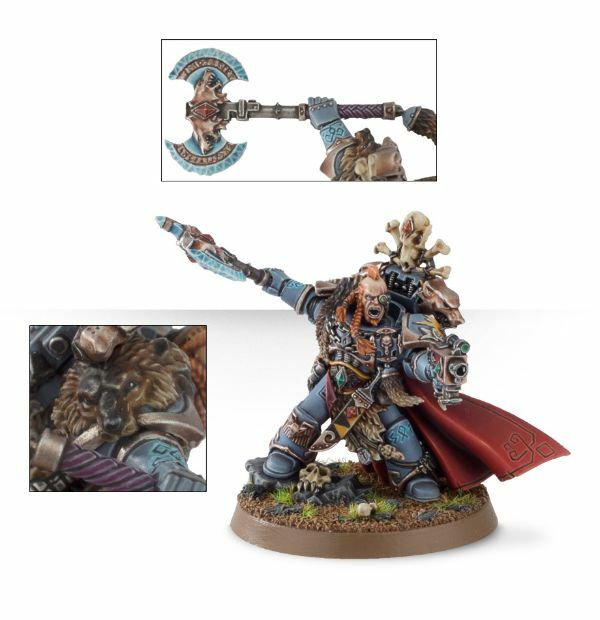 I also love the Space Wolves captain model. 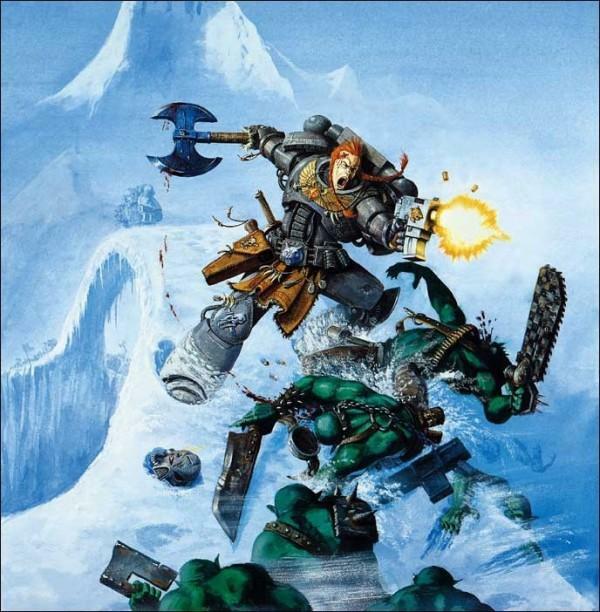 Many may not remember the cover art to the third edition Space Wolves codex or the Forge World display piece that was made of him, but I most certainly do. 1. £40 in 1993, when converted for inflation, is £70-75 (depending on source), and as you point out, the standard of the mini’s in DV is far ahead of what you got in 2nd edition, so ultimately its a much better deal, even if the real-terms cost is a little higher. 2. I guess this was written before the leaks of the last couple of days, but thankfully DV will be back with the new 7th Ed rulebook, so all is hunky-dorey again. I agree whole-heartedly with you that its fantastic to see an iconic piece of art brought to life like this by GW, its just such a shame that they force you to buy it in this way as I have a sizeable SW collection, no desire whatsoever for orks, and am not too keen to pursue the hassle of selling off all the bits on eBay, so ultimately they’ve lost what would have been a guaranteed sale from me. If only they would release the character 6 months or a year down the line, I’d be more than happy to wait.